Midway between Miami and Orlando, the Sustainable Kashi Ashram is an interfaith intentional community that combines yoga, meditation, and permaculture projects on 80 acres land on the eastern coast of Florida. Founded in 1976, the community’s teachings are based on Hindu philosophy, but participants of any religion – or none – are welcome to visit and volunteer at the ashram. 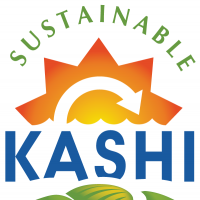 Sustainable Kashi offers several ways to get involved. Each year, the community hosts a Permaculture Design Course, in which participants learn about natural building, composting, agroforestry, and more, and leave with a certification in permaculture. Kashi also welcomes short- and long-term volunteers, and is a member of WWOOF (World Wide Opportunities on Organic Farms). Want to learn more about Kashi Ashram? Check out the first episode of “Intentional” Season 1 – a web series that profiles intentional communities all over the U.S. – or visit Kashi’s website. ← Spring Sale Just For You!